Time to kick off a new year of blog posts! For my first post of 2015, I’m continuing a series I’ve had on hold since nearly the same time last year, about the research I work on for my job. This is based on a paper my group published in Physical Review Letters and an answer I posted at Physics Stack Exchange. 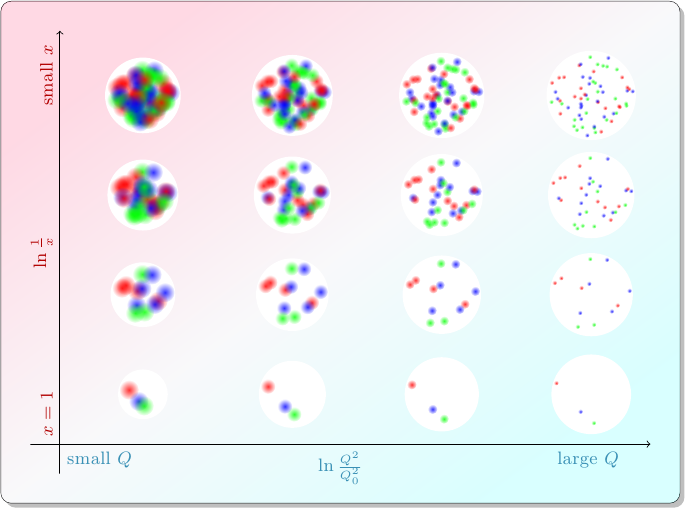 In the first post of the series, I wrote about how particle physicists characterize collisions between protons. A quark or gluon from one proton (the “probe”), carrying a fraction \(x_p\) of that proton’s momentum, smacks into a quark or gluon from the other proton (the “target”), carrying a fraction \(x_t\) of that proton’s momentum, and they bounce off each other with transverse momentum \(Q\). 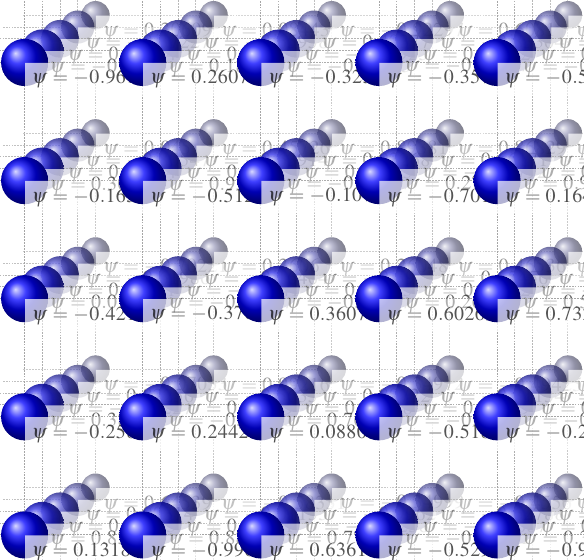 The target proton acts as if it has different compositions depending on the values of \(x_t\) and \(Q\): in collisions with smaller values of \(x_t\), the target appears to contain more partons. Hooray, it’s time for science! For my long-overdue first science post of 2014, I’m starting a three-part series explaining the research paper my group recently published in Physical Review Letters. Our research concerns the structure of protons and atomic nuclei, so this post is going to be all about the framework physicists use to describe that structure. It’s partially based on an answer of mine at Physics Stack Exchange. Fundamentally, a proton is really made of quantum fields. Remember that. Any time you hear any other description of the composition of a proton, it’s just some approximation of the behavior of quantum fields in terms of something people are likely to be more familiar with. We need to do this because quantum fields behave in very nonintuitive ways, so if you’re not working with the full mathematical machinery of QCD (which is hard), you have to make some kind of simplified model to use as an analogy.